Charger and Batteries There are 8 products. 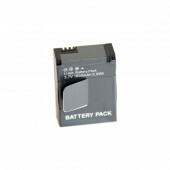 Lithium-ion rechargeable battery for camera GoPro HD HERO3 / 3+ only. 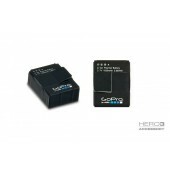 Lithium-ion rechargeable battery 1600mAh for camera GoPro HD Hero3 and Hero3+. Europe 2-pin universal USB charger with one USB plug to charge your GoPro camera without using your computer.